As usual I made my list of bands I “had” to see this year in advance of SXSW. High on my list were the Heartless Bastards. I had heard a lot of good things about them, had their new CD but still wasn’t getting it. I got an email about a Monday night party at GSD&M (ad agency) that really wasn’t SXSW music but was being held on their campus – right by Waterloo. Per Rolling Stone motopony from Seattle was one of the Top 25 acts to see this year and our friends from Nashville, The Apache Relay, were on the bill as well. It seemed like a can’t miss show so I headed downtown around 7 to catch the show. 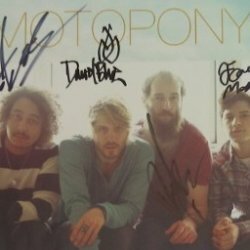 motopony was up first and I’d have to say I wasn’t impressed – if your song is about drugs you don’t have to tell me – either I’ll figure it out or I’ll be clueless! As always my favorite thing about SXSW remains if you don’t like the band don’t worry you’re only 30 minutes away from the next band. 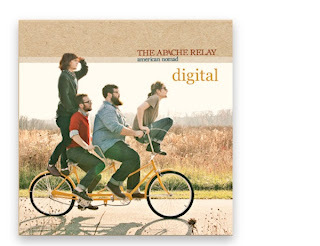 Always good to hear some familiar songs as well and The Apache Relay didn’t disappoint. These guys are working hard and just need a break and you won’t see them playing an ad agency campus. A couple of great new songs, our favorites “American Nomad” and “Lost Kid” and my first dose of Bruce for the week with their great cover of “State Trooper”. Got a chance to talk to them a little bit and complement them on their new Mercedes Touring Van – big improvement over the white van that broke down in the middle of the desert last year on their way home from their first national tour! Next up was the original target for the night with the Heartless Bastards but first another of the perks of SXSW –some free steak fajita tacos! The band came on and unfortunately nothing changed as far as my feelings. There were just not any songs that really caught my ear. A solid four piece band but I still haven’t got them – not saying I won’t keep listening but I’m not clamoring for their next show. So three bands and the first 3 hours of music for the week in the book and time to go home – an early night as the week would turn out. Next up the Dyn Listening Room with headliners and creators of my 2011 Album of the Year – Dawes!